The Exeter Picturehouse is currently screening a selection of classic British films, every Tuesday, as part of its Made in Britain season. It started with Passport to Pimlico, on Tuesday, June 5 and concludes with the Quartermass and The Pit on Tuesday, July 3. It’s fair to describe the trailer for Kosmos, as more than a little baffling, but that isn’t necessarily a bad thing. Pick of the week’s releases, Woody Allen: A Documentary and The Innkeepers, spine tinglers in their own way. After last year’s excellent Midnight in Paris comes this documentary on the veteran filmmaker, Woody Allen. 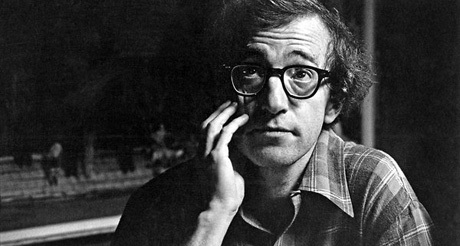 Woody Allen: A Documentary is a PBS production made for TV in the US, but released in cinemas in the UK (selected cinemas, naturally). The reviews thus far haven’t been Ã¼ber-enthusiastic, but if you’re fan of Allen’s work, then this should be an enlightening watch. After Ti West’s last film, the abysmal effort that was Cabin Fever 2: Spring Fever, it looks as if the genre director has returned to form with The Innkeepers. West is a horror director who understand the importance of character development and unlike the majority of his contemporaries, he refuses to cut straight to the gore -an effect of the ‘gorno’ legacy. This ghost story, about two minimum-wage ghost hunters, should be a slow-burn treat and if you enjoyed West’s, House of the Devil, then is a must-see. The Turin Horse is a fictionalised story concerning a horse and the German philosopher Friedrich Nietzsche. Apparently, Nietzsche bared witness to a horse being whipped while travelling in Turin, Italy. The philosopher threw his arms around the animal’s neck to protect it, before tumbling to the ground. BÃ©la Tarr’s film then, asks what happened to the horse? It hardly sounds like a barrel of laughs (unsurprisingly) and the trailer looks pretty sombre, but Tarr’s stark cinematography looks beautiful. Definitely not to be missed, if you’re a fan of Tarr’s work. This week’s most appealing new release isn’t Men in Black 3D -surprisingly! Instead, this week’s top film is the newest flick from indie-spirited-darling Wes Anderson. But sadly, the Wes Anderson formula is on its way to becoming as tired and generic as a Tim Burton movie. This week sees the return of Sacha Baron Cohen, along with his newest creation, General Aladeen in The Dictator. While the trailer for How I Spent My Summer Vacation showed more promise than Mel Gibson’s recent ventures, it alone was unlikely to catapult the fallen star back to his glory days. How I Spent My Summer Vacation is the work of an exhausted actor, who is fresh out of luck and new ideas, but it’s far from a disaster. I can’t say I’m a huge fan of Jason Segel. I’m not really convinced that he’s contributed anything worthwhile (as of yet) to the world of cinema. I’ve watched the occasional episode of How I Met Your Mother, but he’s not even the best thing in that. So, I was rather surprised by the trailer for his newest comedy, Jeff, Who Lives at Home. After a record breaking $200 million opening-weekend in the US, it’s clear that despite my pleas and a mini-campaign across various social media platforms, that you, the millions, didn’t ‘Skip the Avengers’ as instructed. In fact, you’ve obviously been attending in your droves. So, what with its sensationally-positive, critical-reception, I stumped up my own cash and begrudgingly stomped off to the nearest screening-while muttering curses under my breath. Angele et Tony/Angele & Tony is about a beautiful young woman with a troubled past, who moves to a small fishing town in Normandy. There she meets Tony, a local fisherman who finds himself attracted to her, despite disliking her abrupt nature. Against his better judgement, Tony hires Angele as a fishmonger, rents a room to her and teaches her the tricks of his trade. The relationship between Tony and Angele is far from easy, but little by little, Tony and Angele fall in love. A romantic drama, but uniquely French. Un amour de jeunesse/Goodbye First Love is another French drama and it chronicles a teenager’s first heartbreak. At the age of 15, Camille is a very serious teenager, who falls intensely in love with the cheerful, but carefree, Sullivan -an older boy who has his sights set on backpacking around South America. When Sullivan leaves, Camille is devastated, but over the next eight years Camille will develop into a strong headed woman, with new interests and loves. However, when Sullivan re-enters her life, will she revert back to her defenceless 15-year-old self? Monsieur Lazhar is based upon the French play, Bachir Lazhar, by Evelyne De la CheneliÃ¨re. It’s about an Algerian immigrant who is hired to replace an elementary school teacher, who recently died. While his new class comes to terms with its grieving, nobody is aware of their new teacher’s own painful history, nor that Bachir is at risk of deportation at any moment. Out of these three French films, this is my favourite, the trailer displaying both sensitivity and humour -let’s hope it delivers! Bir zamanlar Anadolu’da/Once Upon a Time in Anatolia has been called an ‘exhilarating masterpiece’, but after sitting through the close to three-hour film, I can assure you, it was anything but, ‘exhilarating’. A rollercoaster ride is exhilarating; Once Upon a Time in Anatolia is arduous, although not entirely without merit. Here’s my review of the rather slow and ponderous Turkish film. Into The Abyss: A Tale of Death, A Tale of Life: Werner Herzog crafts a narrative which focuses upon the preciousness of life. Into The Abyss: A Tale of Death, A Tale of Life, focuses upon three murders which occurred in the small, dead-end Texan city of Conroe. In 2001, while under the influence of alcohol and drugs Michael Perry and Jason Burkett murdered housewife Sandra Stotler in her kitchen, while she was baking cookies. Out this week is the awful-looking Avengers Assemble, but I’ll be damned if I’m going to see that, instead, I reckon either of these is a far better choice. Let’s get this out of the way, Lockout isn’t a great film, but regardless, it’s still awesome -yep, that’s right, awesome! I would happily unravel my intestines -and with gleeful joy -if it meant a sequel being greenlighted. It’s that damn good! KaurismÃ¤ki’s newest film, Le Havre, is somewhat of an oddball. It’s quirky, although not to the extremes of a Wes Anderson film, and yet it’s filled with masses of melodrama, classical 1950s’ lighting, a pastel colour palette and even the odd baffling indulgence. Le Havre is no doubt, a love letter to KaurismÃ¤ki’s La Nouvelle Vague/French New Wave heroes, but will anyone other than corpses or scholars appreciate it? South American cinema is typically loud and in your face, and it has a vibrancy that other cinemas can only dream of. It’s also a cinema with few pretensions, something that would greatly benefit French cinema -zing! But Argentine, Pablo Trapero, is just as renowned (if not more so), for his drama’s subtleties and naturalistic camera work -don’t believe me, just watch Born and Bred/Nacido y criado. Despite the sinking feeling in my gut, which I get whenever Joss Whedon’s name is mentioned -Buffy the Vampire Slayer being the only exception to this rule -I was quietly optimistic about, The Cabin in the Woods. But when it comes to Whedon, I should have known better. The Cabin in the Woods is rubbish. Drivel. Clap-trap. And even worse, it’s pseudo-intellectual nonsense.